Z Agatą spotkaliśmy się po bardzo nieudanej probie zmiany wizerunku naszej strony w innej firmie. Zaskoczyla nas nie tylko profesjonalizmem, kreatywnością ale także pokrewną estetyka oraz rozwiązaniami technologicznymi które nie były dla nas ,,czarną magią”. Na wyrazy szacunku zasługuje to ze jako twórca potrafi słuchać, co w bardzo szybkim czasie daje doskonale rezultaty, bo nasza stona mogę się bez konca chwalic. Trzy słowa cechujące Agatę to Profesjonalizm, Kreatywność i Jakość. Fajne projekty w dużym wyborze, to nam się bardzo podoba. Z kilku wariantów zawsze można wybrać coś odpowiedniego. Do tego bezproblemowa, gładka współpraca nad projektem od początku do końca. Pod tym adresem mamy pewność, że książka jest w dobrych rękach. Dziękuję Ci za wytrwałość, mnóstwo pomysłów, wodze fantazji i chęć głębokiego zaangażowania w projekt okładki do książki o focusingu. To był dla mnie niezwykle ważne przedsięwzięcie. Potrzebowałam kogoś takiegi jak Ty, kto zaangażuję się w to całym sercem. Wyszło znakomicie. Za każdym razem jak patrzę na tę okładkę, cieszę się, że nawiązałam z Tobą współpracę. Brak mi słów, by wyrazić moją wdzięczność za współpracę z Tobą. Miałam swoje wyobrażenia odnośnie logo i strony internetowej ale nie przypuszczałam, że efekt może tak bardzo przekroczyć moje oczekiwania. Dziękuję za Twoją kreatywność i zaangażowanie, za płynną komunikację mailową i telefoniczną, za dotrzymywanie terminów, co świadczy o wysokim standardzie pracy. Dziękuję za cierpliwość tłumaczenia zagadnień funkcjonalności i obsługi, za wszystkie sugestie. Twoja wiedza, kompetencje i wyobraźnia zaowocowały stroną, która przyciąga i zachęca klientów do korzystania z moich usług, inspiruje. Dobra energia płynie dalej w świat. Przekazuję kontakt do Ciebie zainteresowanym współpracą i mam nadzieję na kolejne nasze wspólne projekty. Życzę Ci wielu sukcesów! Dear Agata. Thank you for the most beautiful logo and business card I have ever seen. Again thanks so much for you time, talent, and for being an extraordinary Human being. Forever you friend. Agata has sharp and keen imagination. I remember one of our meetings, during which I asked her to design the cover for the emerging scientific book, the contents of which were articles on fantasy literature by various authors representing different disciplines. When I presented Agata the first book content, which was the aftermath of the first conference of “Fantasty and Wonder”, I told her that I wish to create some detail that could be the theme of the book covers and university conferences. After a week Agata came up with her vision of “Fantasty and Wonder” cover – a picture of a winged woman, or an elf, trying to ascend to the top. The delicacy of the drawing, its vagueness against the equally undistinguished background proved to be an instant hit, exactly what I was looking for. Quickly I realized that this was it! Soon Agata’s vision has been approved by others, becoming a regular feature of the following book covers. Agata’s idea was so universal that it was enough to play with color, to show what is inside of each of the volumes. And so, for one of the volumes focussing on the source of fantasy, Agata played with light and navy blues, purples, referring to the shades of water. Volume dedicated to the mythical scenarios assumed the colors of ancient trees, such as shades of greens and browns. So has started Agata’s cooperation with Publishing House of University of Zielona Gora, which commissioned her the design for other books as well. To date, there have been at least a few projects, more are scheduled in the future. Agata’s projects have met with very positive reactions from the authors and readers of these books. Among other things, in this context, we recall the words of Professor Marek Oziewicz from the University of Wroclaw (Poland) and Professor of Education at Pennsylvania State University (USA), for whom cover Agata is a “work of art”. I have worked on a couple of projects with Ez and Agata for the past years. Between Ez’s creative ability as a photographer and Agata’s creative ways, I have ended up with two websites I love. It’s amazing that they compose their work together in such an expedited way and so beautifully. I am looking forward to working on more projects with them as my business grows. Agata Goldyka designed a logo for a national conference, “Enclaves of social life”, organized by the Institute of Sociology at the University of Szczecin. The logo was recognized as a very successful and memorable by the organizers and – most importantly – by the participants, and was therefore used, with the consent of the designer, as a logo for the next national conference, ” Enclaves of social life – II”. Papers prepared by participants of the conference, and they were all the leading researchers of Polish universities, were published in two large scientific monographs by the University of Szczecin Scientific Publishers. Because of very positive opinions about the artistic value of Agata’s designs, the conference logo was used on the covers of these monographs. Our experience from the cooperation with Agata Goldyka is very positive and extremely encouraging. We regard her to be very talented, creative and well-organized designer. With full confidence and responsibility we can definitely recommend her to other scientific establishments. The logo designed by Agata will accompany all research initiatives of the Institute of Sociology, University of Szczecin, on the social enclaves. Ms. Agata Goldyka has created several projects for our travel agency. Throughout our cooperation, she has proven to be a trustworthy professional. All the projects, from both the creative and formal perspective were outstanding and met our expectations completely. It is worth emphasizing how creative and competent Agata’s approach is. Her works have artistically innovative character, and at the same time perfectly meet their commercial functions (advertising, information, etc.). Given the above facts, timely and accurate execution of the assigned tasks, with full responsibility, we can give her the highest recommendation. I’ve worked with Ez Studios (Ezequiel&Agata) on many projects. Their creativity, design and photography are exceptional. Whatever you sell, from Party Rentals to Pinot Noir to Professional Services, the web site they create for you will have a style and personality that sets it apart from other sites. I highly recommend them. EzStudios listened to what my vision was for Pawprint Essentials. They were both creative and responsive and right on target with providing the “image” I envisioned for Pawprint Essentials. 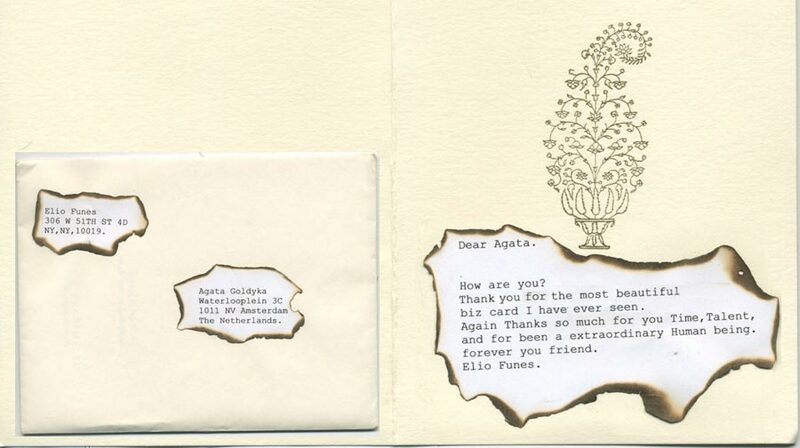 Working with EZ Studios (Ez and Agata) and their design team was a complete pleasure for Elegant Studios. They delivered a beautiful, professional website with a fresh look for us on a very timely basis with professionalism. The vision and institution the team displays is very satisfying. We will continue to work with EZ Studios for all our needs and highly recommend them. Jonathan Swift said that “Vision is the art of seeing what is invisible to others”. The innovative team at EZ Studios has a vision for designing and creating web sites that are unlike any other websites that I have seen. I work in the political sphere and branding and representation is as important in this industry as it is in entertainment and other image-driven fields. Ezequiel is the Andy Warhol of fashion photography and found a way to turn otherwise standard professional headshots into above recognition professional headshots that have captured my personal essence and a lot of professional business. Agata, “the innovator”, is the true “tell me what you want and I will make it happen” guru. I basically told her my color scheme and ideas and she made it happen – with outstanding results. I am complimented on the design of my site as much as on my work as a consultant. This is the most prolific design team that I have met and I have referred several other highly satisfied clients to their work. Ez Studios offered me a creative edge that I needed! Their innovative design style has helped increase the packaging of my business. I now have a unique logo and web-site. Their graphic team also helped in designing high quality t-shirts. I’ve enjoyed working with Ez- studios, they offer a high level of customer service and professionalism. EZ Studios has taken my thoughts and ideas and turned them into one of the most impressive websites my peers in business have seen thus far. I can now drive my business through the internet which saves me time and money. I have more confidence now in the future of my small business. Basil Smikle, Smikle Associates L.L.C. The first time I met EZ studio, I was working in New-York City. At that moment, I knew that I could trust their work. They are so creative that I decided to let them do my website. Now, I ‘m living in Hollywood and they easily update my website, it’s so simple to work with their team that I will recommend them. I’m sure that in the coming years you will hear about them! I found in NYC’s EZ STUDIOS (photographer Ezequiel De La Rosa and web designer Agata Goldyka) a spontaneity and uniquely comprehensive vision that allowed me to fulfil my dream of having my own multi-purpose website. Easily accessible and replete with amazingly clear photographic images – this dynamic duo has empowered me with a site that has enabled me to project distinctly varied looks when meeting with casting directors and agents. I highly recommend EZ Studios if you, too, are looking to create a more succinct, professional acting portfolio for prospective employment opportunities. EZ Studios is an extremely talented professional group and helped boost my company image. From logo and biz cards to the web site they have a very innovative and cutting edge style that stands out. I remember being super excited when Photographer extradinare Ezequiel De La Rosa told me he would expand his services to include designing websites and logos for various businesses. I wanted to upgrade my Wardrobe Styling business so I decided to sign up immediately. His talented partner Agata created a new logo that would appear on my business cards and website. The price was right, service great, end result amazing! Thank you Ez Studios for helping me take my business to the next level!!! EZ Studios created a website that defines my services in a simple but beautiful format while developing a site that is easy to navigate. They made a tedious process easy, and their concepts and designers were perfect in helping me stand out in the hospitality industry.